Was everyone asleep at the switch when they approved this 1951 newspaper ad for the Pennsylvania Railroad? 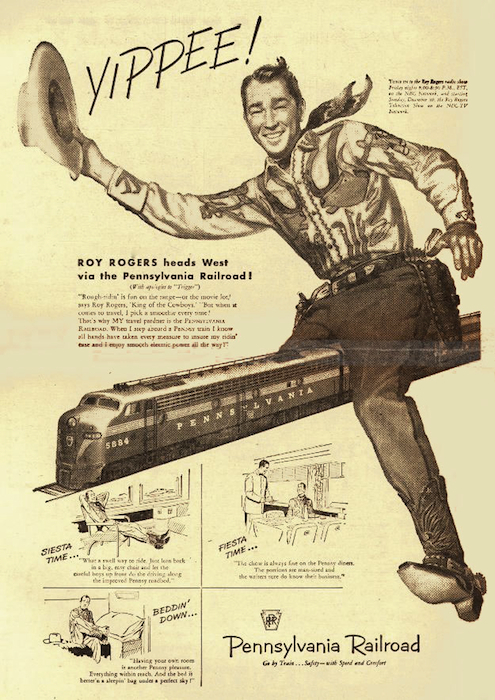 It features the normally wholesome radio and movie star Roy Rogers. 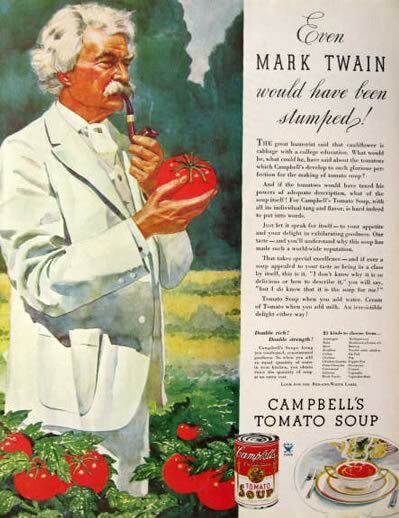 Campbell's Soup resurrected Mark Twain from the dead to have him sell their products in 1934. Can't imagine what the author, famous for his acerbic wit, would have quipped about that! 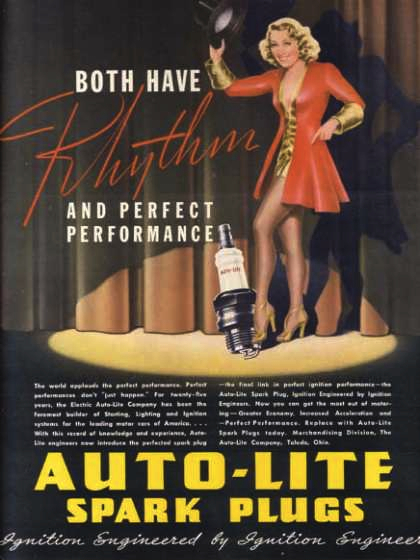 In 1937, when this magazine ad for Auto-Lite Spark Plugs was published, actress Joan Blondell had recently starred in Busby Berkeley's "Gold Diggers of 1937." By 1947, Boris Karloff had parlayed his monster-movie reputation ("Frankenstein" in 1931, "The Mummy" in 1932) into this weird "Time" magazine ad for the Northern Pacific Railway Company. 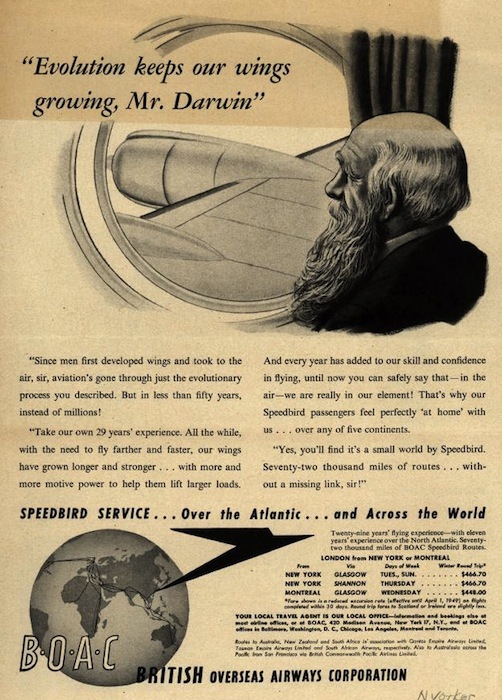 In 1948, the British Overseas Airway Corporation (BOAC) thought it would be a good idea to use 19th-century naturalist Charles Darwin to sell its services in the pages of "The New Yorker." 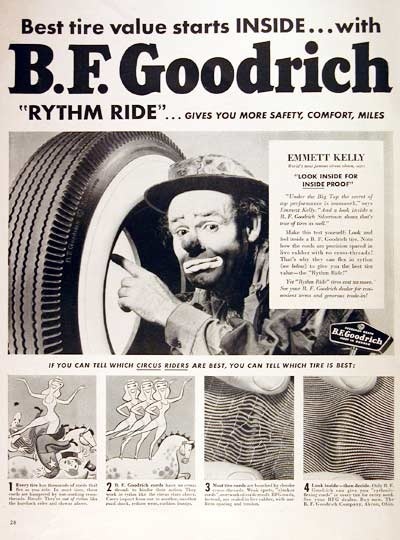 In 1950, tire company B.F. Goodrich decided its customers would be comforted by the assurances of the world's most famous clown, Emmett Kelly. I guess "Rythm Ride" is in quotes because it's misspelled. 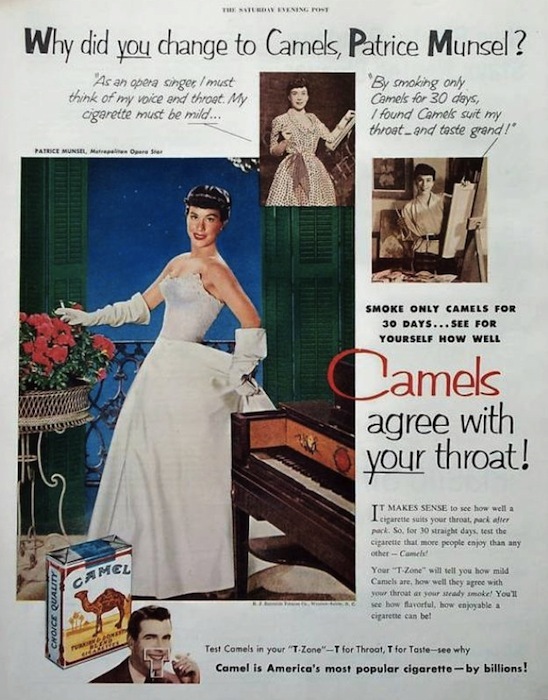 In 1952, Metropolitan Opera soprano Patricia Munsel claimed that Camels were easy on her throat. 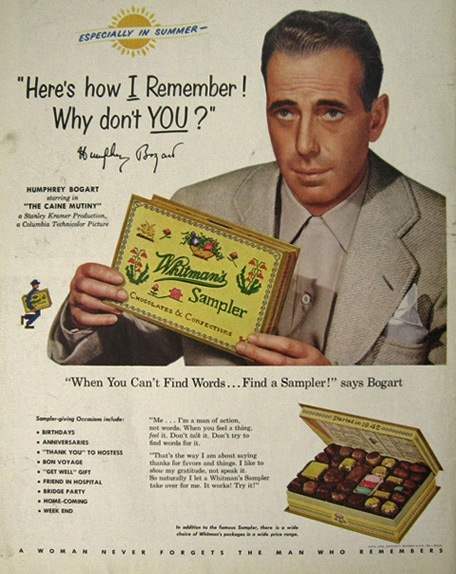 In this ad from 1954, Humphrey Bogart has a "get me out of here" expression on his face as he suffers through a photo shoot for Whitman's. Even he appears to realize he's the wrong guy for this job. 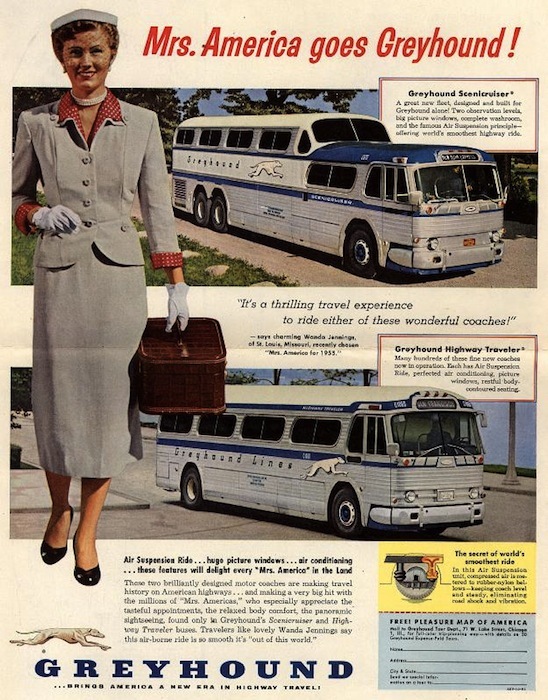 When Wanda Jennings was named Mrs. America of 1955, little could she have imagined that her reward would include a "thrilling" ride on a Greyhound, as seen in this ad from "The Saturday Evening Post." 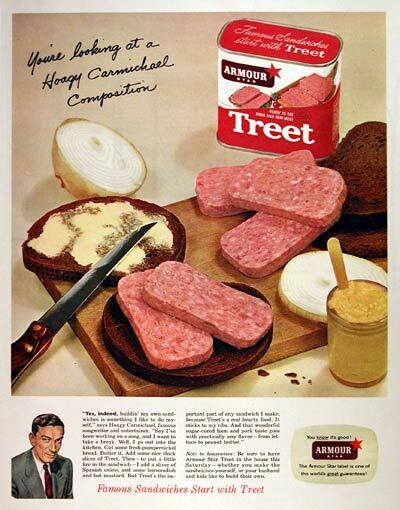 In 1956, one of the greatest piano players in the world, Hoagy Carmichael, lent his name to Treet, a competitor of Spam. No one thought to make a Treet hoagie? 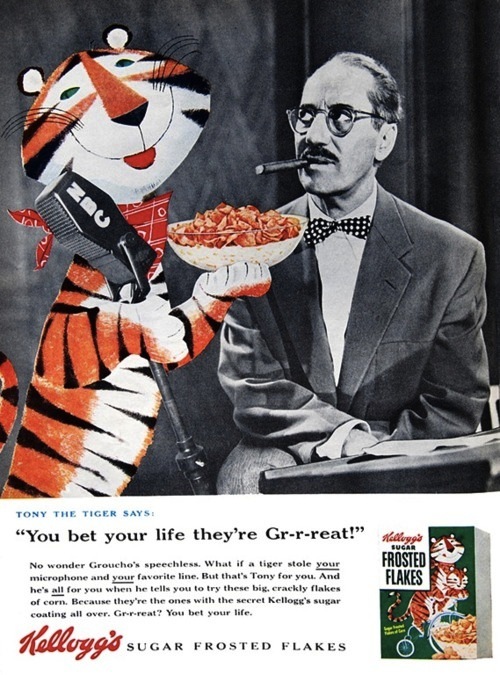 With "You Bet Your Life" at the top of the TV ratings in 1955, Groucho Marx was teamed up with Tony the Tiger to sell Frosted Flakes. In recent years, the inability to come out of his shell has not been Woody Allen's problem. 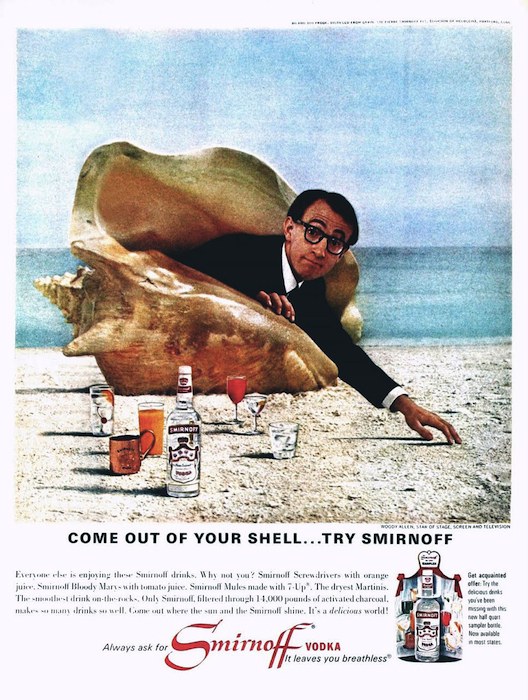 This ad from 1966 suggests Smirnoff Vodka may deserve at least some of the credit, or blame. 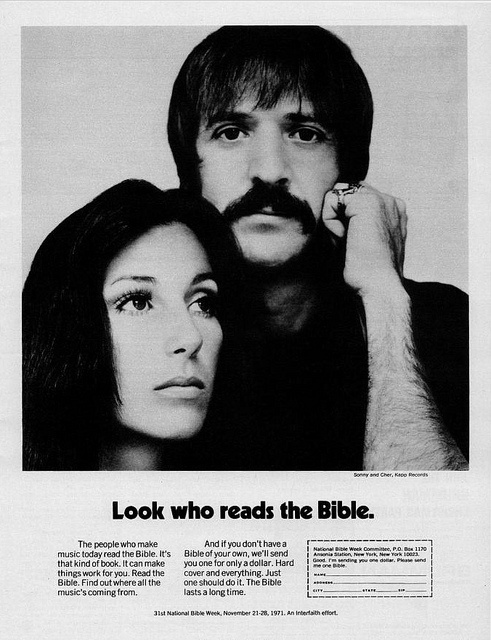 Even the Bible took out ads, as in this one from 1971 featuring Sonny and Cher. Throughout the mid-1970s, former football star O.J. 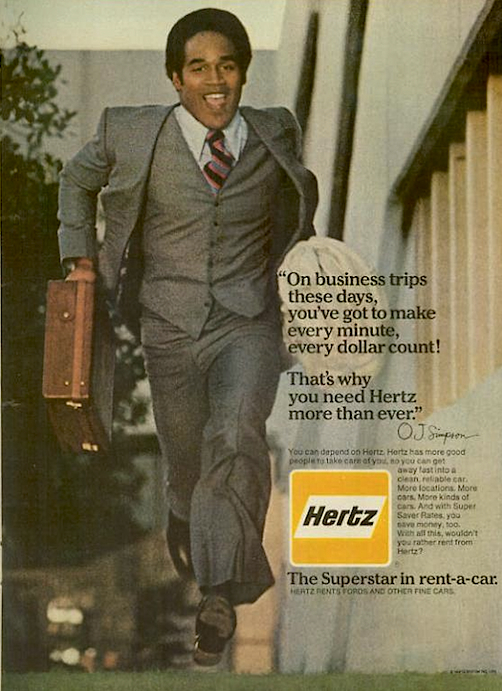 Simpson did countless print and TV ads for Hertz, many of which showed him running through airports. The Bronco chase was decades away. 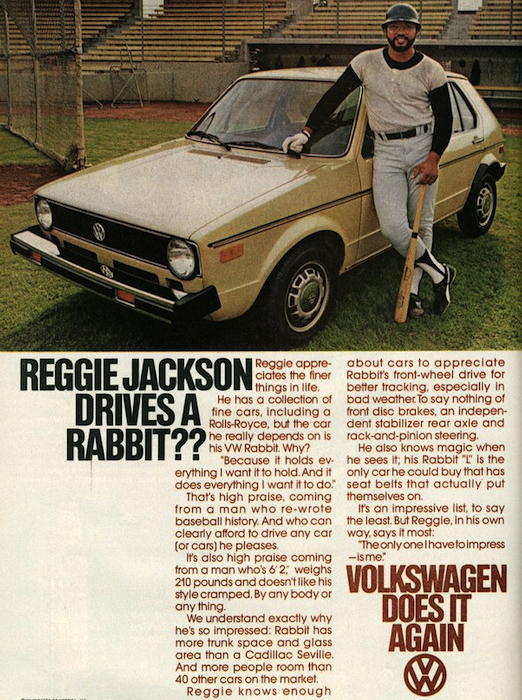 According to this 1978 ad, baseball slugger Reggie Jackson, who had recently signed with the New York Yankees, drives a VW Rabbit. What do you think? 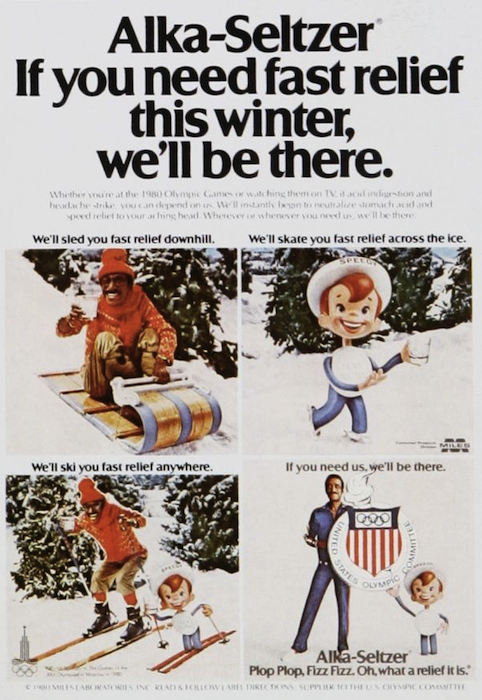 In this ad timed for the 1980 Winter Olympics in Lake Placid, entertainer Sammy Davis, Jr. shared "plop plop fizz fizz" duties with Speedy, the digestive aid's beloved mascot. 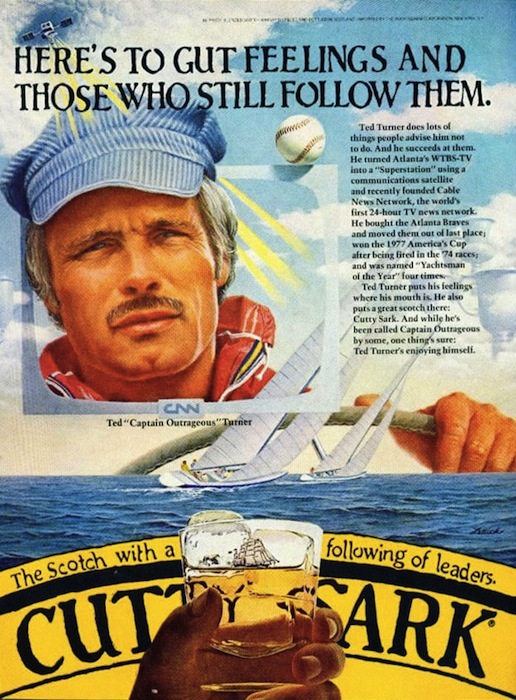 With his fledgling Cable News Network to support, in the early 1980s, Ted Turner capitalized on his success in the 1977 America's Cup by lending his name to Cutty Sark, a brand of blended Scotch. 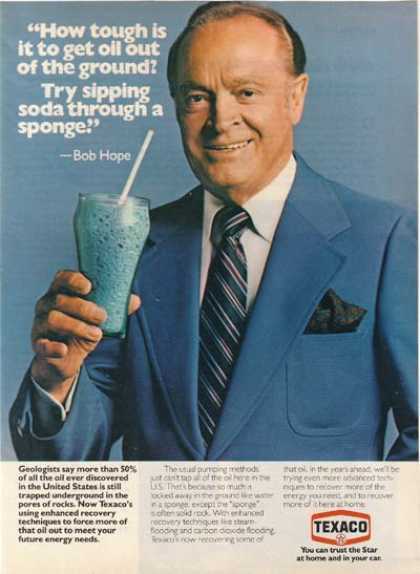 You have to wonder how these 1982 ads starring Texaco spokesperson Bob Hope would go over in today's age of fracking. 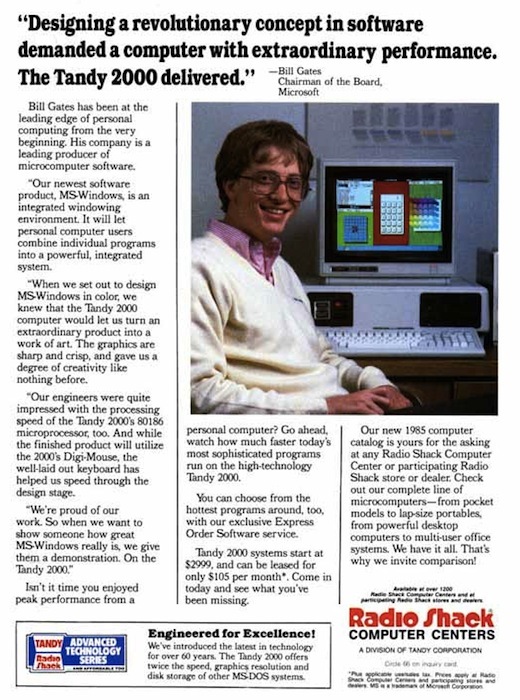 In 1984, the year Apple launched the Mac, then-Microsoft CEO, Bill Gates, was touting the virtues of Radio Shack's Tandy 2000. 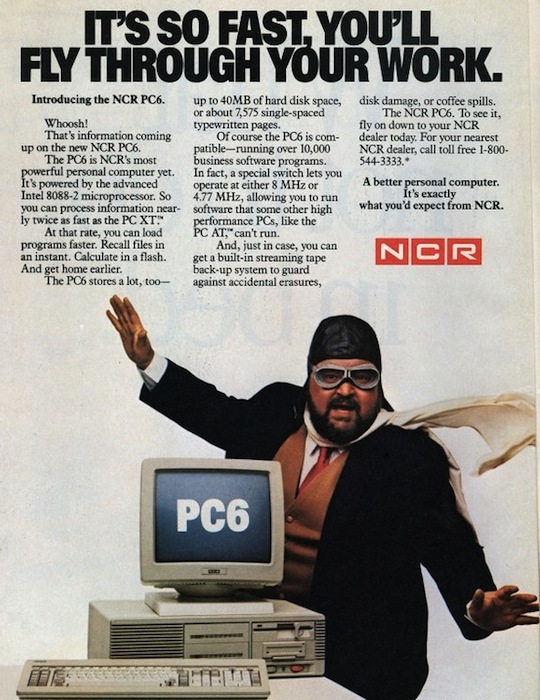 In 1985, NCR, which had made its fortune on cash registers, thought users would take comedian Dom DeLuise's word for the speed of its personal computers. They didn't. 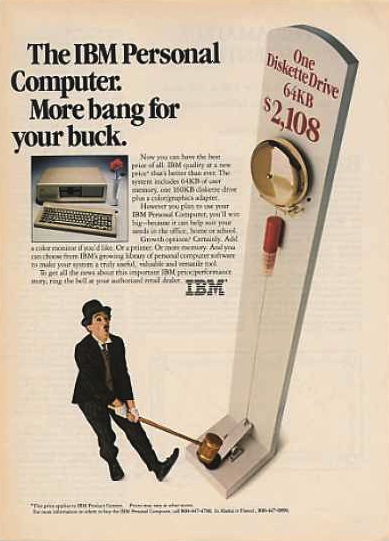 In retrospect, IBM's decision to have a Charlie Chaplin look-alike hawk its mid-1980s computers appears tin-eared, but the ads were extremely popular at the time. 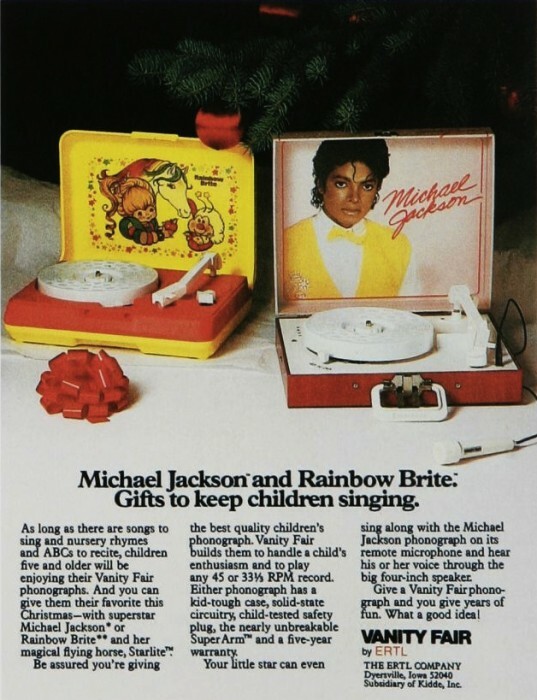 In 1984, still reaping the harvest known as "Thriller," Michael Jackson licensed his likeness on any number of products, including this children's record player made by Ertl. 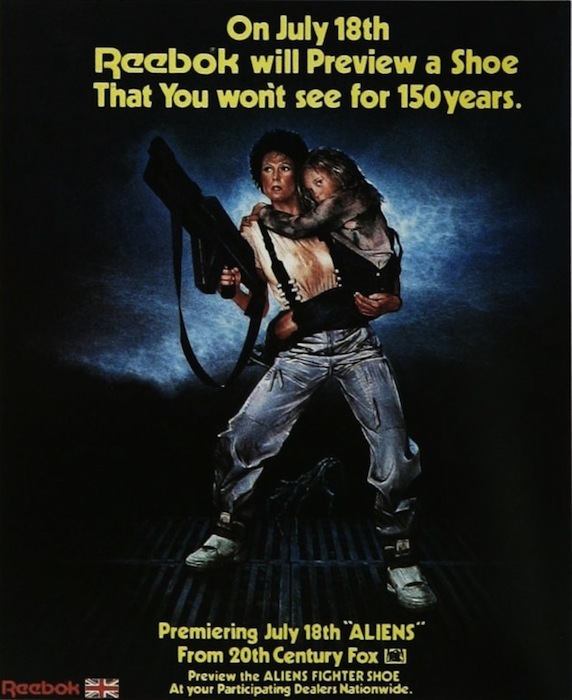 One of Sigourney Weaver's many cultural contributions from 1986's "Aliens" was the debut of Reebok's Aliens Fighter Shoe. 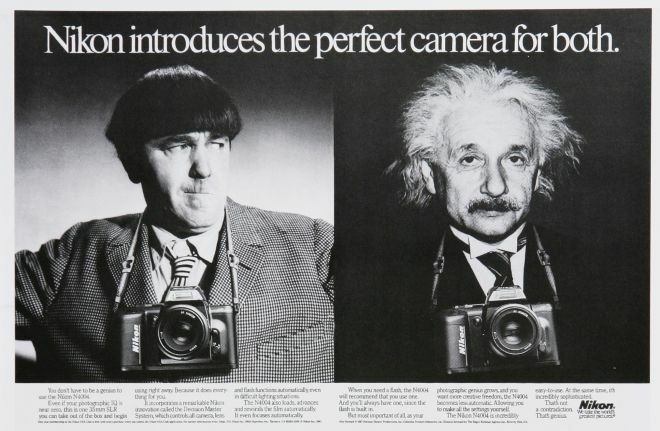 In 1987, Nikon apparently thought that photographers whose intelligence fell somewhere between Moe's of the Three Stooges and Albert Einstein's would be prompted to buy one of its high-end cameras. 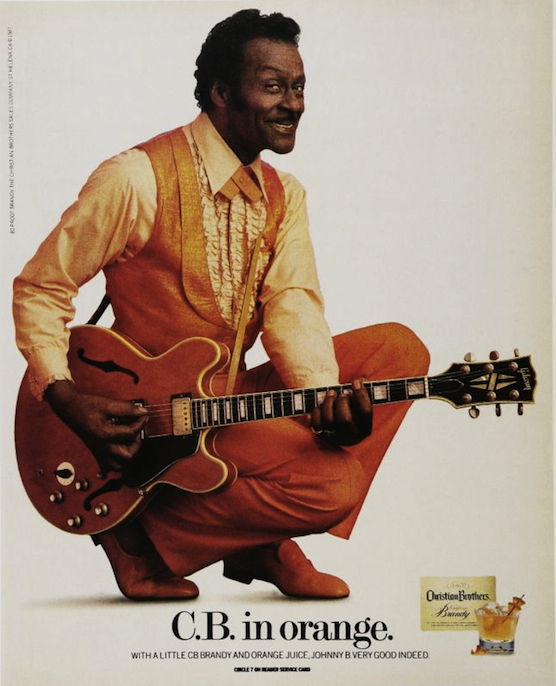 Chuck Berry's and Christian Brothers' initials are C.B. Get it? This ad from 1987 sure hoped so. 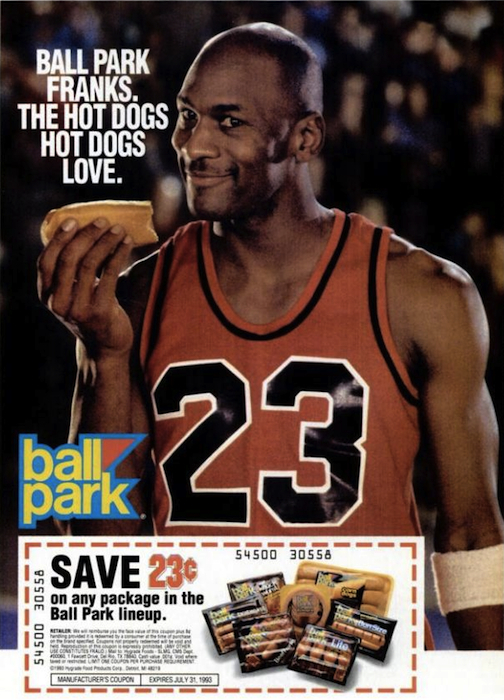 Among the less glamorous items basketball legend Michael Jordan has endorsed are hot dogs, as in this ad from 1993. 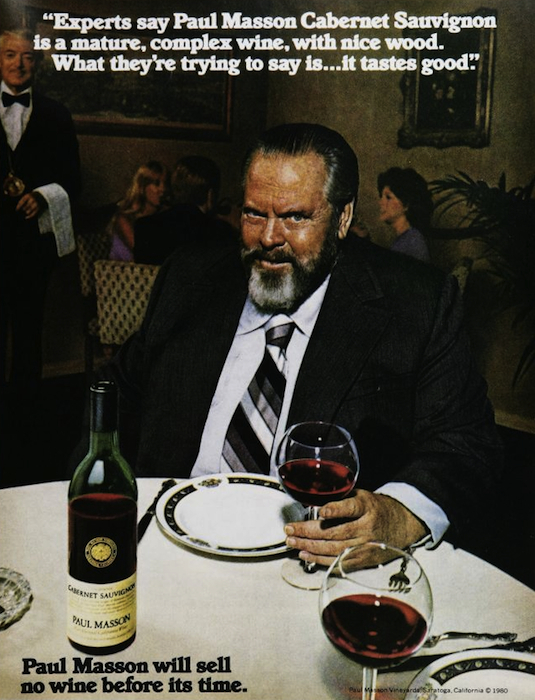 Finally, in the late 1970s, winemaker Paul Masson used filmmaker Orson Welles as its pitchman for its famous "sell no wine before its time" campaign. In this case, at least, it didn't take much to convince would-be customers that the man trying to sell them a bottle of wine enjoyed the stuff immensely. There’s a moment in your typical advertising brainstorm when the people charged with wrestling the creative elements to the ground cry uncle, settling on a clumsy compromise for the sake of getting on with the really important business—billing their clients. Or so these advertisements fronted by some rather improbable pitchmen and women would suggest. Is a clown really going to convince us to buy tires for our cars? Did anyone ever believe Bill Gates bought his computers at Radio Shack? And don’t tell me it took a cheap brand of vodka to pry Woody Allen out of his shell. On second thought…. The audio outtakes from the Paul Masson TV commercials for that ad campaign are legendary… Orson Welles was quite the foul-mouthed drinker. And the IBM ads in the 80s really were popular, although I can’t recall why. I don’t think they are as cringe-worthy as others on this list, though, and the OJ ads are only cringe-worthy in retrospect, same with the Woody Allen one. Not sure why most of these might be considered “cringe-worthy,” most of them are quite clever, innovative–or actually ordinary–in the context of the time. The train entering the tunnel scene in North by North West (the movie not the infant) gives the Roy Roger’s sitting on the train ad a whole new meaning. In the mid 70’s Simpson was not an ex-football player, he was the biggest star in the game. I don’t get why these are cringe-worthy. Maybe the modern era is just more insensitive? Not sure. But they seem like ordinary advertisements. Could just be a generational cultural difference, however. Karloff would be better known in 1947 for his role in Arsenic and Old Lace (he owned a percentage of the play, and refused to leave it to make the movie). > I am (ahem) old enough to remember a lot of these ads and, honestly, no one would have raised an eyebrow or thought anything odd about them then. I fact, I find this a pretty dumb piece, obviously written by someone too young or ignorant to have any sense of social history. Perfect way of describing it. I myself have been rallying against so-called “projecting present sensibilities onto past time” – no context is understood for when the ads were written, and as you put it, what the social constructs were at the time. It would be great if these ads were reproduced at a large enough size to actually read all the associated copy. I’m sure the gifts keep on giving when you read the full ad. Seems a shame that a “collector’s” site can’t provide high enough resolution to allow for this! I totally disagree – I don’t see the “Cringe Worthy” moments the author attempts to point out in this article. It’s just the outlook of one generation looking back at another. 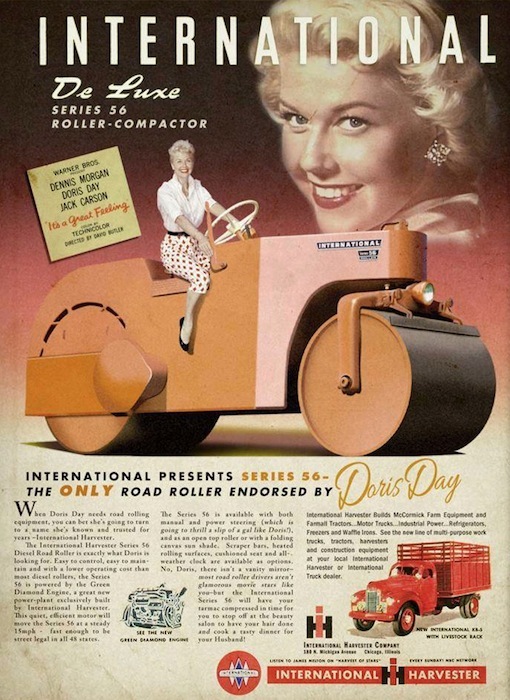 Of all these, nothing can beat the one of Doris Day endorsing a steam roller. That’s a whole special level of surrealism there, Thanks for these! This is the problem with look at the past through the lense of today. I didn’t see one ad I’d call cringeworthy. They were reflections of the time they were written in. Now the Pepsi “Let have a riot but give the cop a Pepsi” ad, that will be forever cringeworthy, along with the idiotic BMW soapbox derby ad. At least companies were trying to sell their products instead of doing virtue signaling. The Doris Day ad is a spoof. It’s the work of Cris Shapan, who specializes in ridiculous retro-looking print ads. See his Facebook page (the only place to see most of his work). “ ” ...there was this walled citadel, basically, at the foot of the Golden Gate.